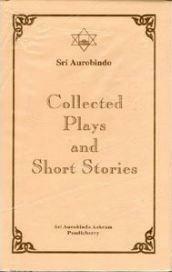 Collected Plays and Stories contains all Sri Aurobindo’s original dramatic works and works of prose fiction. The material, which occupies two volumes, is divided by type into three parts: complete plays, incomplete and fragmentary plays, and stories, complete, incomplete and fragmentary. The earliest of the pieces collected here was written in 1891, the lastest in 1915. Only one of them Perseus the deliverer, was published during Sri Aurobindon’s lifetime. The rest have been reproduced from his manuscripts.